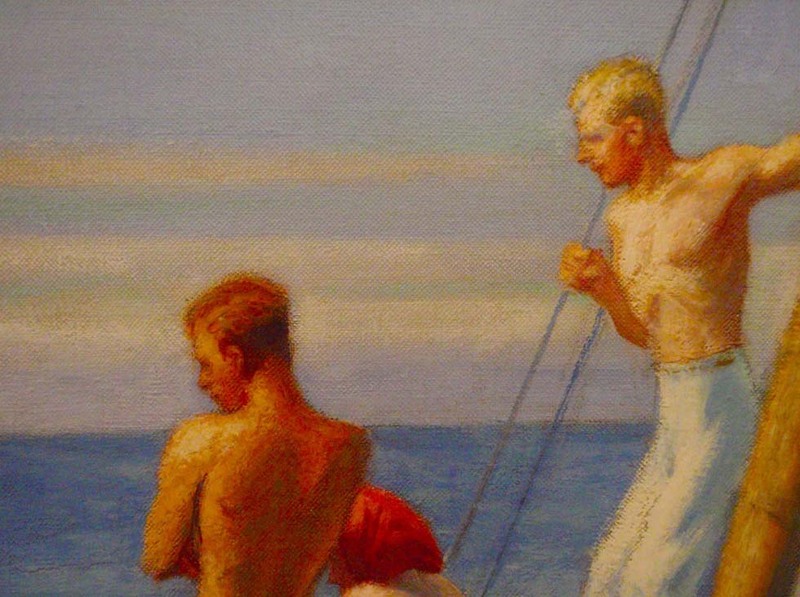 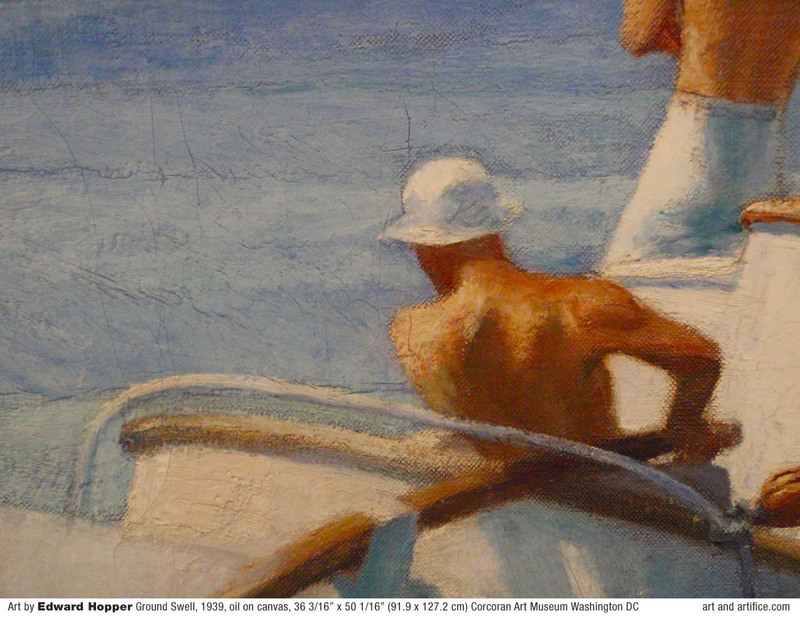 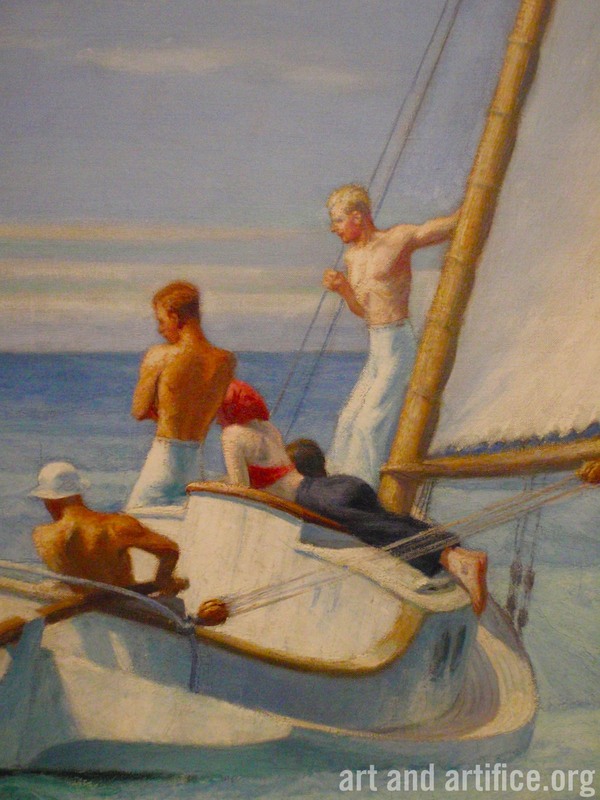 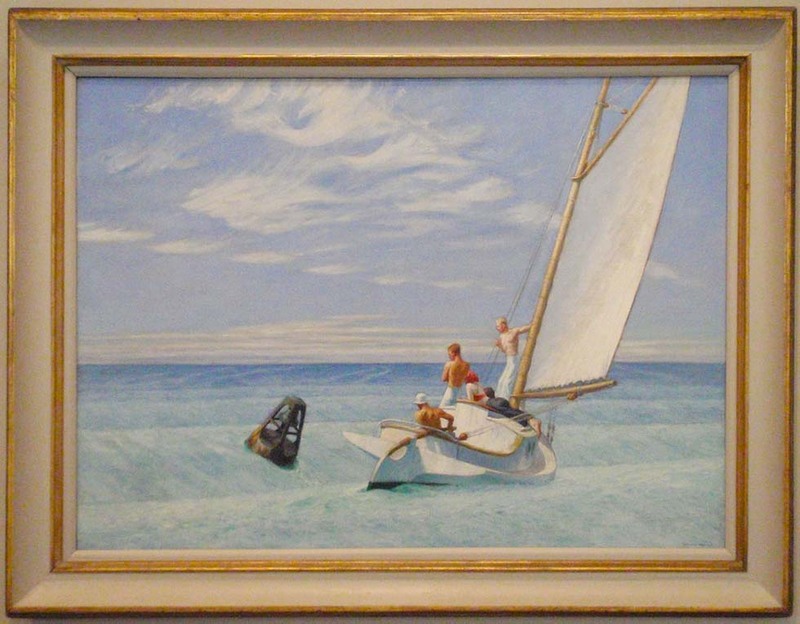 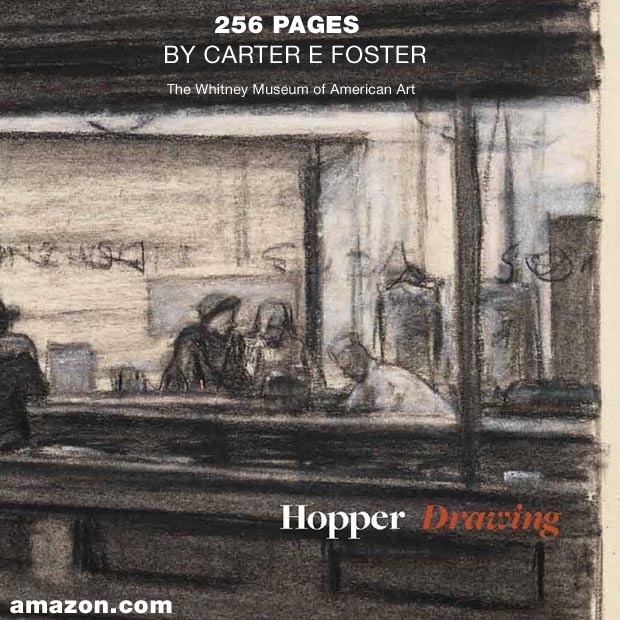 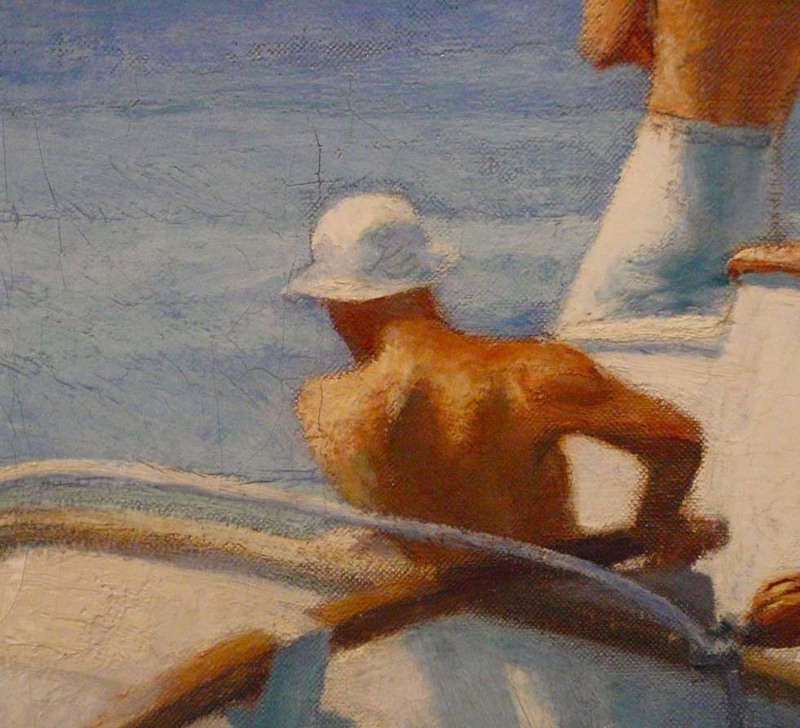 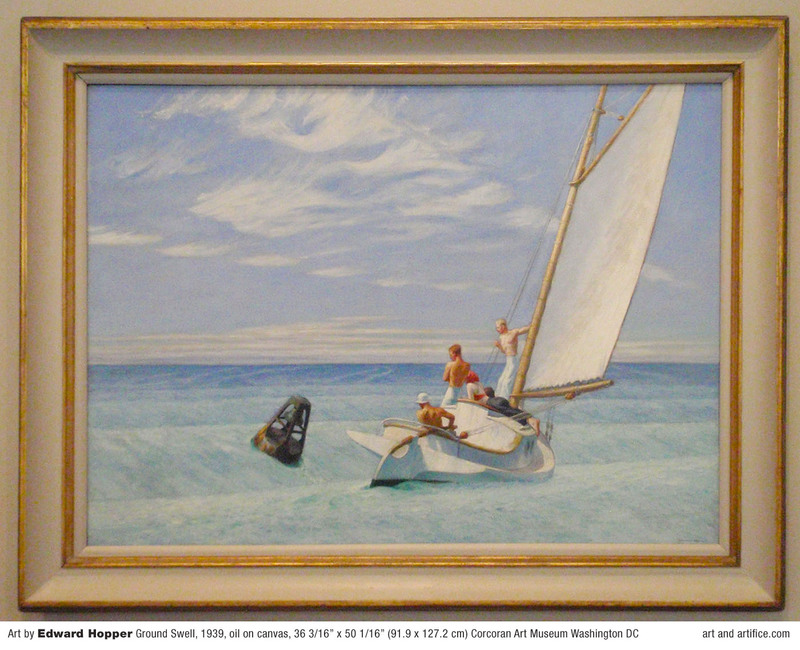 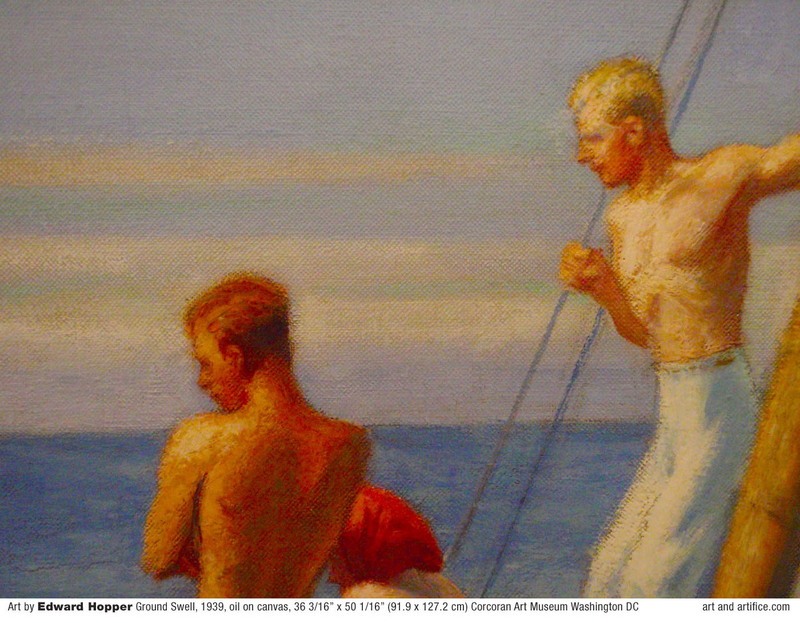 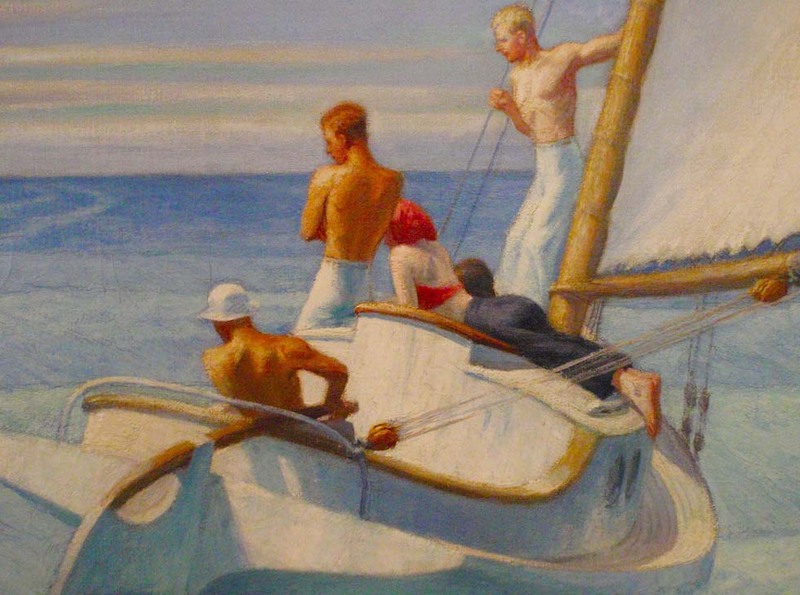 Among the many marine images that Edward Hopper painted during his long career, Ground Swell is particularly loaded with meaning because of events at the time of its making (1939). 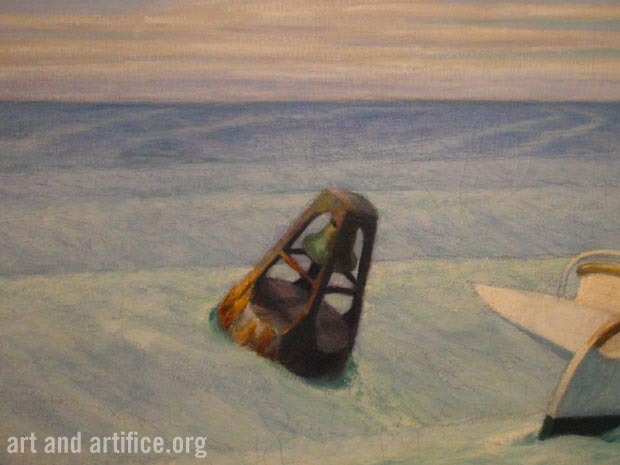 Shortly afterward was the entry of the United States into World War II (1941) an event which many people in America saw coming due to years of rising international tensions between the traditional Western powers against the alliance of Germany, Italy and Japan. The usual interpretation of this image is that young people are watching the incoming wave which is beginning to rock their boat, simultaneous to this German armies had begun a rapid expansion in Europe with Britain eventually ending up as the sole holdout in Hitler's dominance over a significant part of the globe. 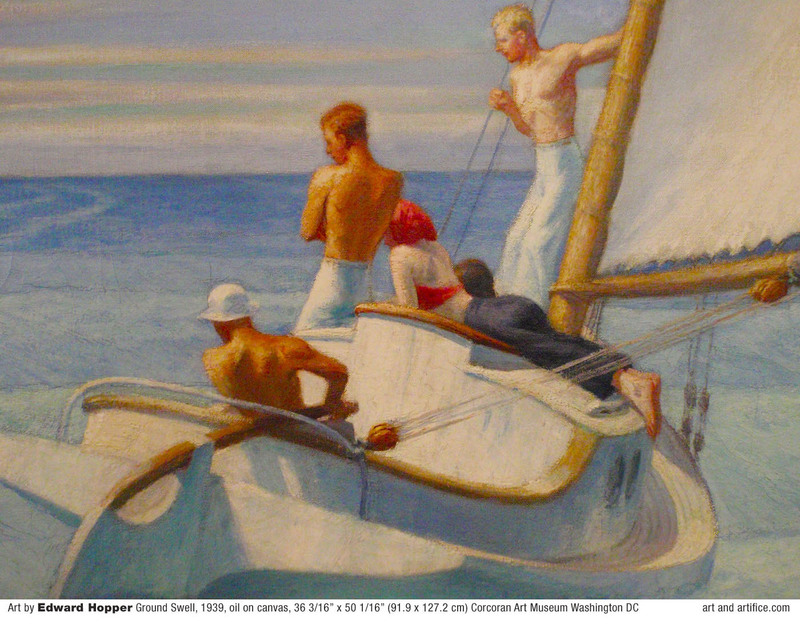 Coupled into this understanding is that an inevitable entry into the fray by the United States meant that these youthful painted figures would be finding themselves involved in the USA's military reaction to the fascist spread of violence around the globe, which indeed was the case a relatively short time later.